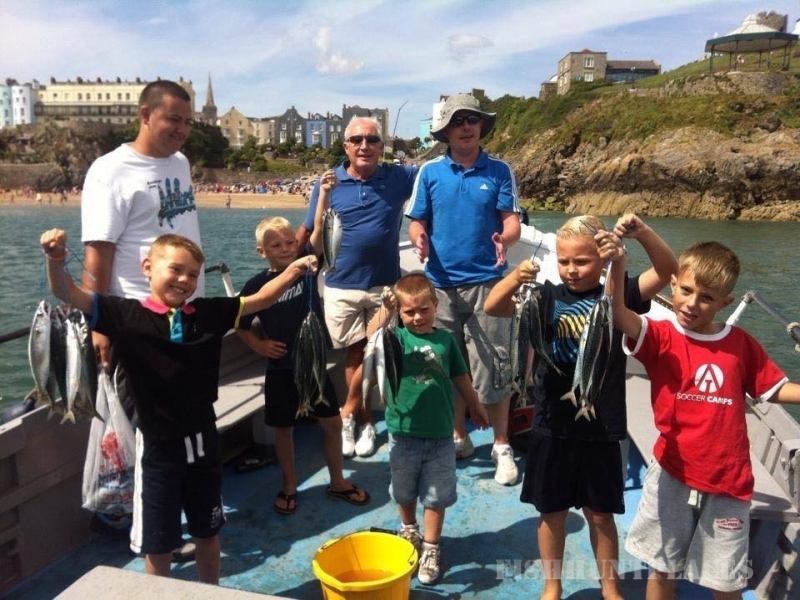 Seren Y Mor Mackerel Fishing Trips is located within the small tourist town of Tenby. 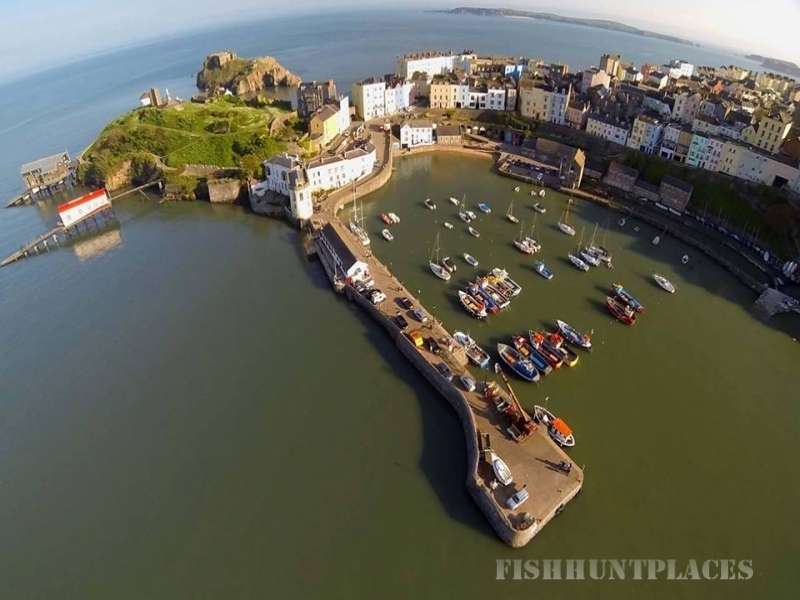 Tenby is situated within the Pembrokeshire Coast National Park and is often called the jewel of Pembrokeshire and South Wales Coast Line. Tenby is well known for its fantastic blue flag beaches, glorious weather and friendly local atmosphere. The trip last for 1 and a half hours which gives you loads of time to catch plenty of mackerel for those summer evening BBQ's. 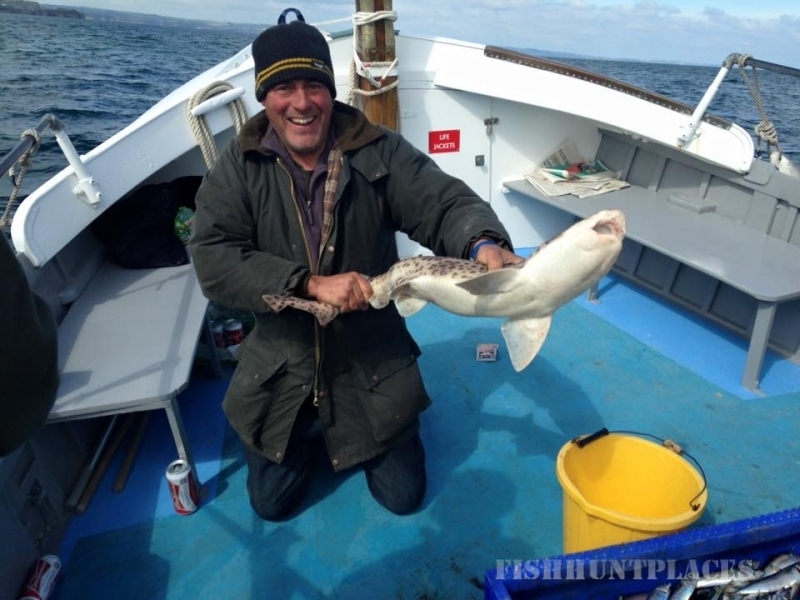 With a highly experienced skipper (Roger Miles) who has over 10 years experience in the fishing industry, aswell as a highly trained crew with expert local knowledge. All tackle and rods are supplied but if you wish you may bring your own rod and lures. After a 5 - 10 minute boat ride to a local fishing hotspot you will be guided and instructed on how to use the equipment provided, we use a traditional method of boat fishing and use feathered lures to attract the mackerel. 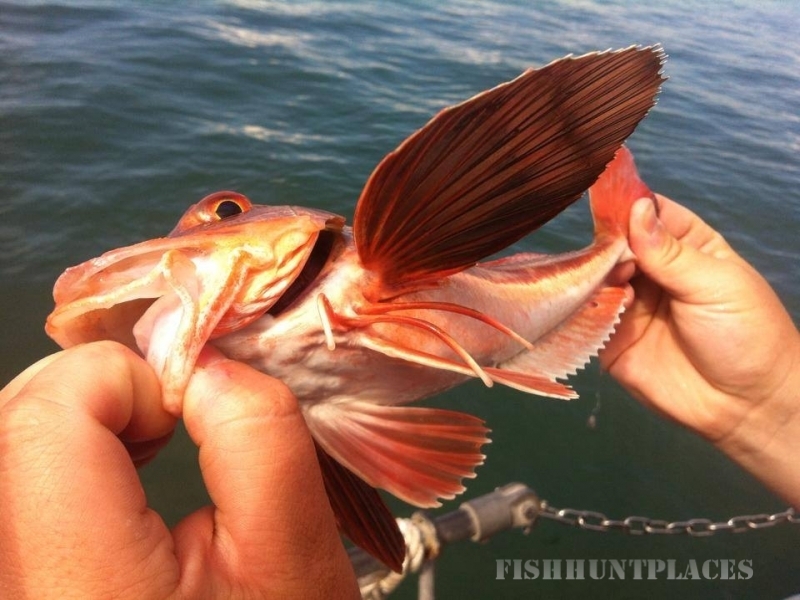 However we do catch other species of fish such as Sea Bass, Gurnard, Dogfish and even Squid. Whatever you catch you are able to keep, you can ask any member of crew to give you a demonstration on how to prepare the fish for cooking. 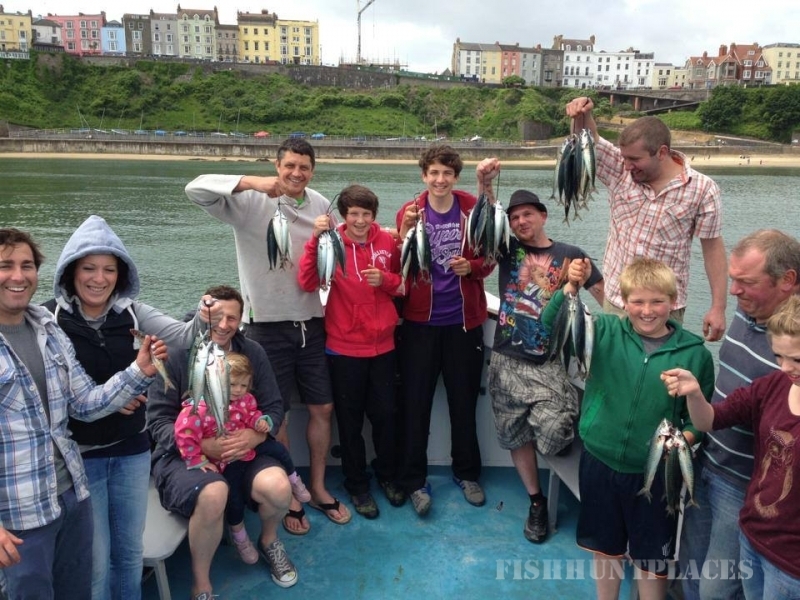 Mackerel fishing is perfect for beginners and the whole family. The boat is fully equiped with all safety equipment and is fully certified and licensed, so if you feel you require a life jacket not hassle just ask one of the onbard crew. The season begins in early April and runs through the school summer holidays up until mid September, at a competitive price of £15 pp you cant go wrong.